The U.S. stock market isn't the only one that's on a breathtaking run-up. A wide range of global markets have surged by 20% or more from recent 2016 lows, meaning they are officially in bull territory. In some parts of the world, key market indexes have even powered ahead by more than 30%. Crude prices plunged to $26 per barrel in February, leading to a panic that dragged global indexes down. Plummeting prices hurt major oil companies, forced dozens of U.S. shale producers into bankruptcy and led to worries about banks that provide loans to the industry. But oil prices have nearly doubled in recent months to $48 per barrel. Reassured investors have pushed markets higher, especially in major oil-producing nations such as Russia and Norway. 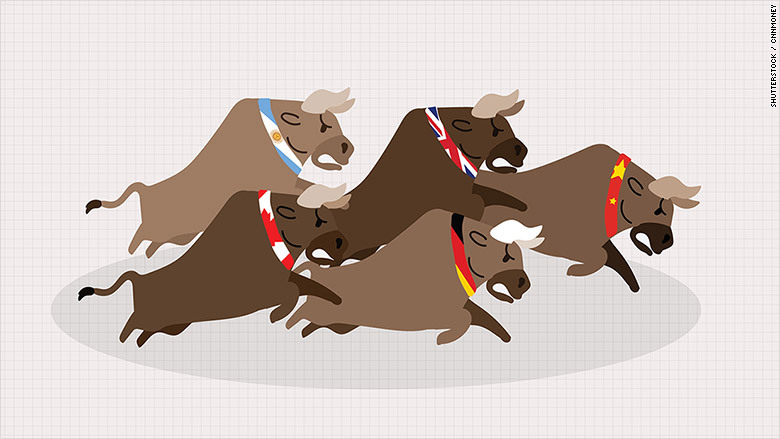 The bull market is alive and well in countries around the world. Concerns about China's economy contributed to the early 2016 sell-off and caused a major crash in Chinese shares. Now the country's main stock markets are bouncing back as domestic investors shift their money out of real estate and back into stocks. Chinese government spending on infrastructure projects and lending by state banks have also helped stocks. "China is driving growth again," said Ankit Gheedia, an equity strategist at BNP Paribas, who noted that Chinese spending is also boosting global commodity prices. Iron ore prices in particular have roughly doubled since the start of the year. That's helped Australia's resource-dependent market rally by 43% since February. Then there's the U.S. election. A major stock market rally in the U.S. has been sparked by hopes that President-elect Donald Trump will follow through on promises to slash taxes, roll back regulation and boost infrastructure. 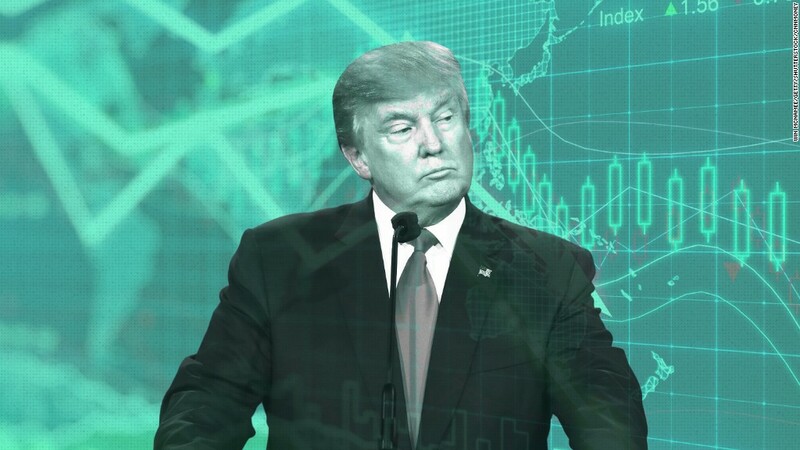 His plan for $1 trillion in additional infrastructure investment has also supported commodity prices. "The optimism around commodity prices has fueled the rally in markets such as Australia, Brazil and Canada," noted Naeem Aslam, chief market analyst at Think Forex.